there once was a muffin demon. it was terrible. it had poor posture and characteristically dry humor. these muffins here are far from demons. they are cheerful and light. they are the friendly kind, easily compatible with butters and jams of all sorts. 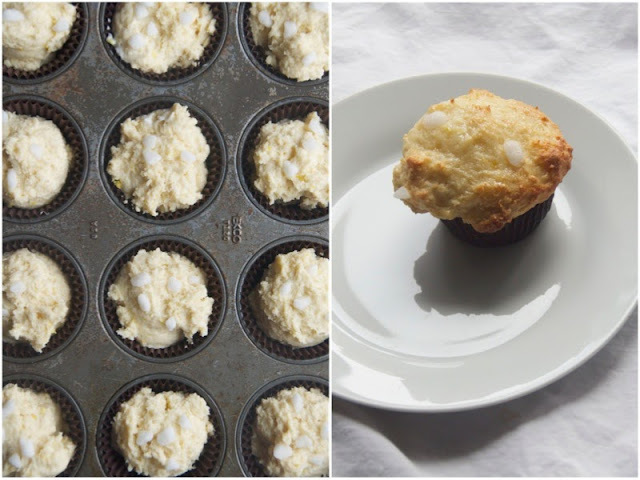 *tips to make those big top muffins that everyone wants..fill those suckers up to the top with batter. also baking at a higher heat for the first few minutes will make the tops burst up quickly. hooray muffin tops. preheat oven to 415 degreesF. combine the dry ingredients in a bowl - flour, baking powder, baking soda, and salt. in another bowl combine the sugar, honey, eggs, zest, extract, yogurt, and melted butter. whisk until combined well. dump the dry ingredients into the wet and stir until just combined..don't over mix. Don't! 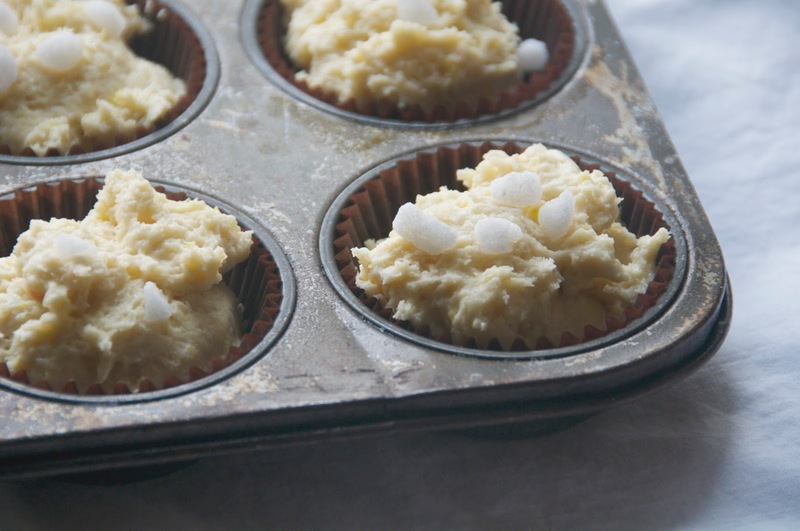 fill muffin tins, either greased or lined with papers, to almost the top. sprinkle with pearl sugar if using. bake for 5 minutes at 415 degreesF and then drop the oven down to 350 degreesF and finish baking, about 10 more minutes. while those bake, make lemon syrup. combine the lemon juice, sugar, and water in a small saucepan and boil until the sugar dissolves. 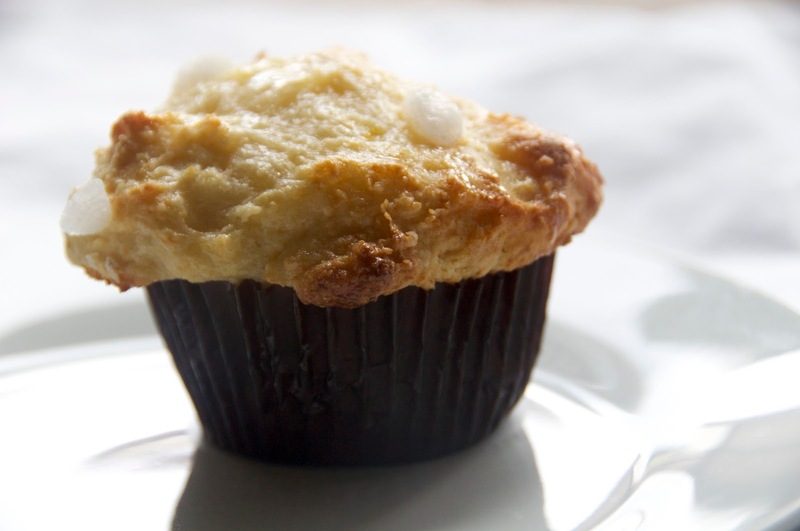 when the muffins finish baking, poke a few holes in each muffin with a toothpick or fork and brush the lemon syrup all over the tops of each muffin. let cool.